"My mother warned me about getting into cars with strange men"
Warner Brothers has released their final, chilling trailer to Christopher Nolan's The Dark Knight Rises. One last reveal to convince everyone to see this in theaters - as if we need convincing, right. Anyway, you will definitely want to check it out. This looks phenomenal and I have no doubt it will be this Summer's #1 blockbuster. Christian Bale returns as Batman with Tom Hardy as Bane, Anne Hathaway as Catwoman (after seeing this trailer, I'm hating the idea of her as Catwoman a lot less), along with many more familiar faces. The fire rises as the legend comes to an end. Eight years after The Dark Knight, the terrorist leader Bane arrives in Gotham City, pushing it and its police force to the limits, forcing its former hero Batman to resurface after taking the fall for Harvey Dent. 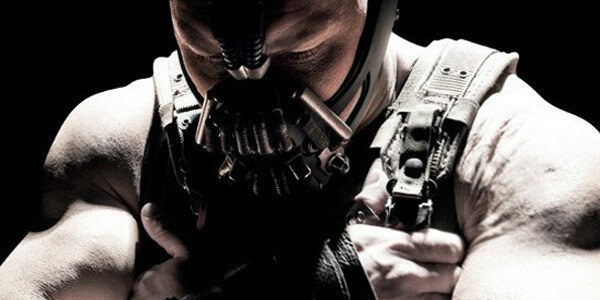 The Dark Knight Rises is once again directed by Oscar nominated British filmmaker Christopher Nolan, of Following, Memento, Insomnia, Batman Begins, The Prestige, The Dark Knight and Inception previously. The script was co-written by Christopher & Jonathan Nolan (The Prestige, The Dark Knight), from a story by Chris Nolan & David S. Goyer (of Batman Begins, The Dark Knight). Warner Bros is bringing the legend to regular and IMAX theaters everywhere July 20th, 2012.